Complexity, developmental diversification, structure-function plasticity and their importance in maintenance and perpetuation of biological fitness highlight the seminal role played by the nervous system and its accessory organs in the evolution of life and societal complexity. Equally complex are the diseases and disorders of the nervous system affecting sensory, motor, and intellectual faculties of humans. While therapeutic options for neuronal disorders have to deal with the BBB, “one-size-fits-all” paradigm does not work in therapeutics given the complex biochemical diversity of various neuronal cell types and their developmental origin. In contrast to classical therapeutics that have not evolved a cure for any major disorder, stem cell technology has generated both hype and hope. While replenishing lost neurons responsible for memory disorders would not bring back old memory, no technology is available to replace a lost motoneuron either by enticing the stem cell-derived neuron to extend its axon in the direction towards its target or directly transplanting a giant neuron from the spinal cord to the target. 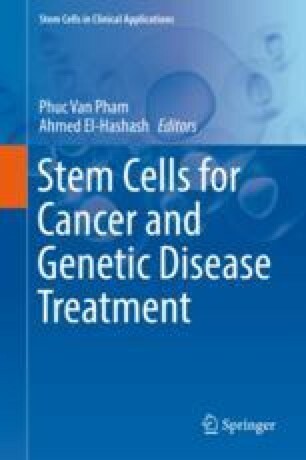 In spite of these limitations, there are great strides made in stem cell therapeutics for the diseases and disorders of neurons and muscle, be it the delivery mode bypassing the BBB, direct stem cell transplantation for replacement therapy or stem cell-mediated specific cargo delivery to affected neuronal or muscle cell types. Future of stem cell therapeutics for the diseases and disorders of the nerve and the muscle depends heavily on our understanding of developmental biology at the molecular level and the role played by model organisms in elucidating disease mechanisms. Authors duly acknowledge the help and encouragement from Dr. D. Y. Patil Vidyapeeth, Pimpri, Pune, India.